The Activating Village Courts in Bangladesh (AVCB) Project aims to improve access to justice for rural poor and marginalized in Bangladesh through establishing village courts. The village courts functions as a grassroots avenue for justice in the community by the community members. For minor civil and criminal disputes, which the village court is authorized to deal; the petitioner can file a case at the village court and request for settling the dispute. In the event that a trial is set both parties choose 2 panel judges each (of a 5 judges’ panel) to resolve the case. One of the most important long term goals of UNDP supported the AVCB Project is the increased engagement of women in the village courts, both as users of the legal services and as active participants in the delivery of justice. To date the AVCB has had tremendous success in engaging women but has, most notably, increased its success since the amendment made in 2013 on the Village Courts Act 2006. The amendment contains specific clause that requires a minimum of one woman in those cases involving the interest of minors and both civil and criminal matters related to the interest of women. The AVCB Project invested a lot of time and effort in policy advocacy for this significant amendment for advancing women’s rights and interests in village courts process. At the beginning of the project, participation of women in obtaining justice was very low. In 2011, 2,850 women sought justice in village courts and it stood 6,926 in 2014 which is almost 143% increased. Women trust village courts because the majority of people, 80 percent, in a dispute abide by its decisions and village court’s decisions are transparent, less costly and prompt according to the 71% satisfied women service recipients. Village courts empower women to seek justice through it as an independent survey of users concluded that 71 percent of those women directly involved with a village court case approached village courts on their own decisions and remaining approached village courts being advice by others. Participation of women in dispute resolution also increased in every year starting from 8% in 2011 to 15% in 2014. As shown these results indicate, participation of women in obtaining and delivering justice through village courts has increased. To help spread awareness of women’s issues in rural settings, as well as to encourage women to become more active participants in the village courts UNDP supported the AVCB project has employed capacity building and social mobilization initiatives. In 2014, the project mobilized around 900,000 community members through village courtyard meetings, youth workshops, sharing meetings, and Community Based Organization (CBO) meetings. Of those participating 72 percent were women. The main objective of these activities was not only to familiarize participants of the purpose and functioning of the village court project but more importantly, to stress the importance of the role of women should play within the village court system, both as facilitators of the village court and as active participant in justice process. 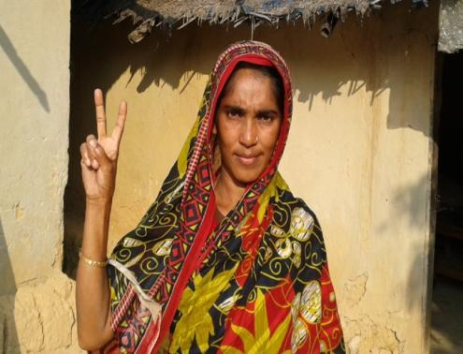 As a result As of December 2014, 15,500 women sought remedies through village courts and 19,000 were involved in decision making process of village courts. With the current transition from the pilot phase to the planned second phase from 2016, the village courts project expects to continue its success of women’s empowerment and involvement in the village court system to grow and provide equal justice for all.